For many cities and small towns across the South, agriculture was the backbone of the community and annual harvests provided opportunities for work and play. People came together to gather and then celebrate the year’s bounty. As the years went by, many of these events were formalised by town governments into large scale fairs and festivals which brought adults and children into the town to join in the celebrations. Winchester, with its long history in the apple growing industry, chose to honour the beauty and the bounty of the apple blossom. Official logo of the festival. 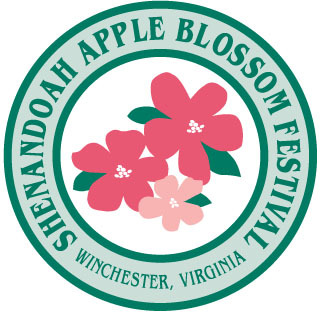 On Saturday May the 3rd, 1924, the first Shenandoah Apple Blossom Festival was held. It was a one day event which culminated in the crowning of Queen Shenandoah, Miss Elizabeth Steck. Unfortunately I couldn’t find an image of Elizabeth Steck. 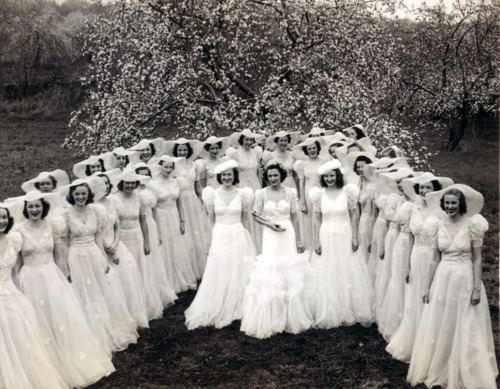 This is Miss Genevieve Garner, Queen Shenandoah 1939, with her court. Since 1924 the festival has grown in size, extravagance and national acclaim. During the 1930s,however, there was a loss of interest in the festival. This led to the hiring of one Tom Baldridge to the position of festival director. Baldridge was employed in the publicity department of MGM, responsible for promoting careers of young actors. He was able to schedule the appearance of celebrities at the festival and this lead to a huge renewal of interest in Apple Blossom. Winchester has a population of around 24,000 people but during the six day Apple Blossom Festival, anywhere from 250,000 to 300,000 people descend on this little city to watch and take part in a wide range of activities and parades. There is a wine festival, Miss Apple Blossom Pageant, golf tournament, apple-pie baking contest, disco dance party, prayer brunch, business luncheon, Ladies’ Horticultural Luncheon, Stag Luncheon, Coronation of Queen Shenandoah, kids one mile fun run, fire fighters parade, fireworks display, 80’s dance, Queen’s Ball, sports breakfast, 10k race, the Grand Feature Parade, square dance, oldies rock’n’roll dance, kids fun day, bluegrass festival…and that’s not all of it!!! Last year’s Queen with her float. Here’s a taste of what to expect from this year’s big cheese…I mean Grand Marshal! 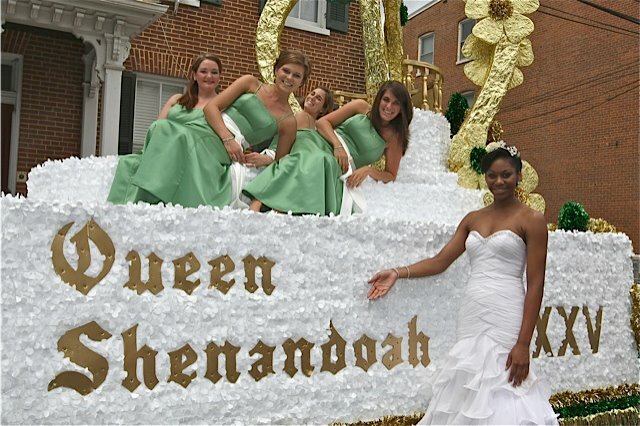 The Apple Blossom Festival would not be complete without a Queen and here again is where as much celebrity as possible is injected into little old Winchester. Former Queens have been daughters of Governors; granddaughters of Presidents; daughters of NFL legends and other sporting superstars; and daughters and granddaughters of actors and actresses. This year will be the fourth time that a relative of the iconic Michael Landon will serve as our Queen. Two of his daughters and one of his grand daughters have previously had the honour and this year another grand daughter, Rachel Lynn Matthews, will be crowned Queen. 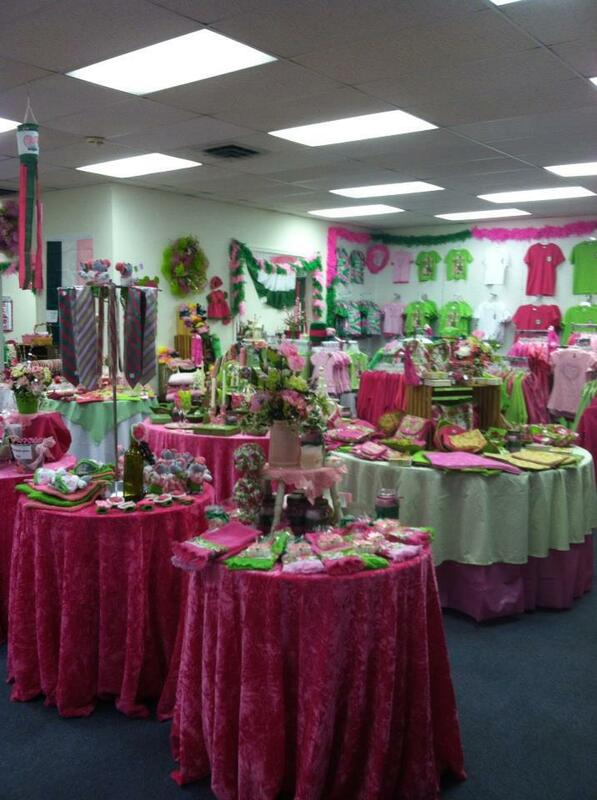 Unsurprisingly apple green and pink are the official colours of the bloom and we even have a dedicated Apple Blossom store where one can immerse oneself in a sea of hot pink and apple green – the girls loved it and chose a very bright pink and green flag emblazoned with the word “Bloom” which is now fluttering from our flag pole. Many of the houses in Winchester are currently sporting some little piece of bloom bling – a flag (think the Irish flag but with a pink stripe in place of the orange), some softly draped bunting, a tasteful floral arrangement on the letter box – and all the gardens are looking pretty spectacular. and Thomas the Tank Engine!? When we talk to people about Apple Blossom we get a whole range of responses – from eye rolling, to being told to leave town if possible, to enthusiastic gushes about how beautiful it is and how much the girls will enjoy it, to my favourite thus far – upon striking up a conversation with a resident of his new work neighbourhood, Richard was told that the bloom is “Winchester’s gift to West Virginia” – I’ll leave you to make of that what you will! Check back in at the end of the week for my Bloomin’ Update!! Really enjoyed this blog………complete with “Ponch” Well Chris you will need to google Hasting Blossoms Festival too,!! not as grand. Tell the girls we will need to add “Love you this big” to our favourite Michael Jackson “you are not alone”.There is a lot to be said for keeping up local festivals and no doubt for Winchester the influx of tourists will do wonders for the local economy. Just loved the picture of the store intereior. Look forward to further pics. I’d forgotten all about the Hastings Blossom Festival! How remiss of me 🙂 Glad you liked the Scotty McCreery song – bit of a crooner! Party time! 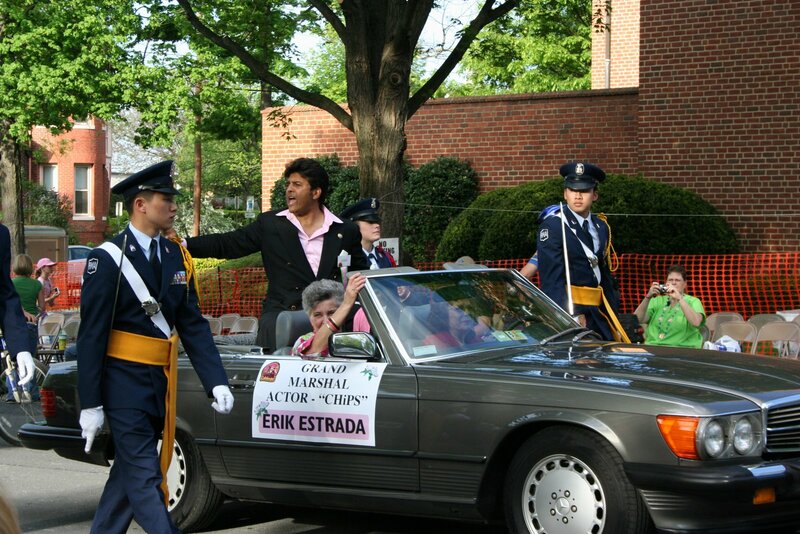 Did you know that Erik Estrada (Ponch) is of Puerto Rican descent and that he was a real police officer in real life?